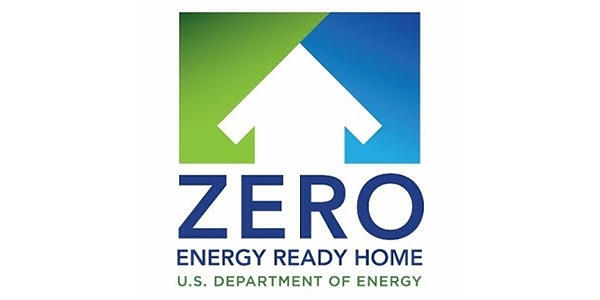 The Department of Energy has certified two homes in Catawba County as the first Net Zero Energy Ready Homes in North Carolina. Rob Howard is Director of Construction for Habitat For Humanity Catawba Valley in Hickory, NC. He spoke with WCQS's Davin Eldridge. Two homes in a new residential community in Catawba County, North Carolina have been certified by the U.S. Department of Energy as the first-ever Net Zero Energy Ready Homes in the state. Only a select group of homes by the nation’s top builders meet the extraordinary levels of excellence and quality specified by U.S. Department of Energy guidelines. Moreover, the 18-unit community of Northstone in Catawba County, N.C. will provide energy efficient and renewable energy ready homes for market rate residential buyers, as well as Habitat for Humanity families. The cost of homes in Northstone are $150,000 - $180,000. Each Net Zero Energy Ready Home is built with advanced construction techniques and includes high performance home systems that provide families with consistent room temperatures, filtered and improved air quality, and structural durability. Independent verifiers inspect these measurements with detailed checklists and prescribed diagnostics prior to certification of the home. North Carolina Building Performance Association located in Raleigh assisted in the project by certifying the two Catawba County homes for DOE accreditation. In addition, homeowners have the option to add a small solar array at a future date to achieve a true Net Zero home. Each home has a two-year monitoring and maintenance agreement including six-month check-in appointments to collect data and confirm the home is meeting the high performance energy efficiency guidelines. More information about Net Zero Energy Ready Homes can be found here. The effects of North Carolina’s House Bill 2 are continuing to be felt in the tourism industry here in Asheville. News broke yesterday that the WK Kellogg Foundation was cancelling its conference at the Omni Grove Park Inn, costing the city 500 visitors and $1.5 million dollars in liquid revenue, according the foundation. For more, WCQS’s Davin Eldridge spoke with Stephanie Brown, Executive Director of the Asheville Convention Visitors’ Bureau. The use of corporal punishment as discipline in North Carolina schools is now practiced in just three counties. Child advocacy groups are urging them to end it, saying that it does more harm than good. Davin Eldridge has more. New UNC system president Margaret Spellings is visiting campuses across the state. She arrived Thursday in Cullowhee for a tour of Western Carolina University's campus. WCQS reporter Davin Eldridge is covering her visit. Today President Spellings, along with WCU Chancellor David Belcher met the media and urged voters to support the $2 billion NC CONNECT BOND referendum.